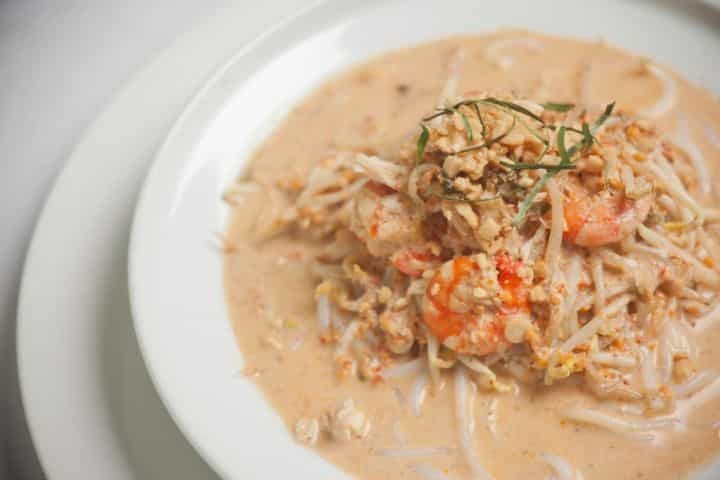 Chicken Laksa Recipe | Is Life a Recipe? Chicken Laksa Recipe I know, I know, laksa should not have chicken. Prawns, cockles and all that is so not my bag. So I have reverted to have a couple of prawns, and chicken for the main meat elements.